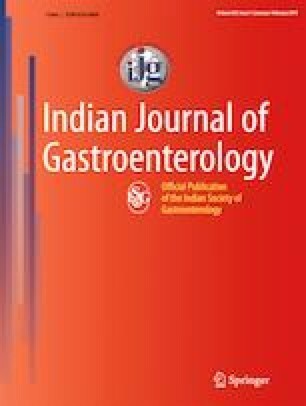 In this issue of the Indian Journal of Gastroenterology, we highlight two key research papers on the theme of metabolic syndrome and gastrointestinal (GI) cancers. The first is from Menon and Matthew , who reported that elements of metabolic syndrome were independent risk factors for the development of hepatobiliary cancer, through a large study on 4297 patients with hepatobiliary cancers and 8574 age- and gender-matched controls. The second is from the group of Reed et al. , who reported a retrospective cohort of 123 patients with metastatic colorectal cancer, highlighting that patients with diabetes mellitus had shorter progression-free survival. Metabolic syndrome is an increasing problem globally and its prevalence is also rapidly increasing in Asian countries. Metabolic syndrome is defined by the National Cholesterol Education Program Adult Treatment Panel (NCEP ATP) III  and the International Diabetes Federation  as the accumulation of visceral fat with lifestyle-related diseases associated with abnormalities in glucose metabolism, dyslipidemia, and hypertension. Of note, the revised NCEP ATP III criteria for Asians replace the international waist circumference cut-off of 102 cm (males) and 88 cm (females) with 90 cm and 80 cm, respectively. In a recent systematic review , in most Asian countries, nearly one-fifth of the adult population has metabolic syndrome. Of interest, two studies from India reported the prevalence of metabolic syndrome to be 24.6% in the rural region  and 16.9% in the urban region . Worthy of more concern, secular trend data available for China, South Korea, and Taiwan demonstrate a steady increase in the prevalence of metabolic syndrome , suggesting that the entire Asian region, comprising more than half the global population, is facing a significant surge of metabolic syndrome. A core driver of metabolic syndrome is central obesity or visceral fat (which includes adipose deposits in the omentum, mesentery, epiploic, gonadal, epicardial, and retroperitoneal fat pads), whereby obesity is already a well-recognized risk factor for the development of GI cancers, in particular esophageal, liver, colon, gastric cardia, and pancreas cancer. An umbrella review  of the literature comprising of 204 meta-analyses of large studies with limited heterogeneity or evidence of bias published in 2017 together with reports from the International Agency for Research on Cancer  concludes that there is a strong and potentially causal association between obesity and esophageal adenocarcinoma, colon cancer in men, biliary tract cancer, and pancreatic cancer. They report a relative risk (comparing the highest BMI category with the normal BMI category) of 4.8 (95% CI 3.0–7.7), 1.3 (95% CI 1.3–1.4), 1.3 (95% CI 1.2 1–1.4), and 1.5 (95% CI 1.2–1.8) for esophageal adenocarcinoma, colon cancer, gallbladder cancer, and pancreas cancer, respectively [8, 9, 10]. The association between obesity and GI cancers is also well documented in Asia and has remained consistent even in different Asian populations such as in Singapore , Korea , and Japan . A pooled analysis of 8 population-based prospective cohort studies with over 300,000 subjects in Japan demonstrated adjusted hazard ratios for colorectal cancer of 1.03 and 1.02 for every 1 kg/m2 increase in BMI for men and women, respectively . Similarly, results from the Asia-Pacific Cohort Studies Collaboration (APCSC) report a hazard ratio of 1.50 for colorectal cancer in obese patients with BMI > 30 kg/m2 . Likewise, for pancreatic cancer in Asia, cohort studies from Japan  and Korea  demonstrate an association between obesity and pancreatic cancer, whereby obese women were at particularly increased risk of developing pancreatic cancer (RR 1.80, 95% CI 1.14–2.86) . The simplest scientific hypothesis for the association between obesity and an increased risk of cancer is that the tissue microenvironment of precancer or cancer is altered and enabled by obesity-associated inflammation, particularly when obesity is associated with disordered metabolism characterized by metabolic syndrome, insulin resistance, or diabetes mellitus [10, 16]. This is more evident through the results from Menon and Matthew published in this issue, whereby additional metabolic factors, on top of obesity, such as the presence of diabetes mellitus, hypertension, ischemic heart disease, have been shown to be independent risk factors promoting the development of hepatobiliary cancers. Metabolic syndrome is a state of chronic systemic inflammation, whereby cell metabolism is dysregulated. The tissue microenvironment exhibits increased oxidative stress, which causes DNA damage, attributing to accelerated carcinogenesis. Furthermore, metabolic inflammation also consists of upregulation of pro-inflammatory cytokines, such as IL-6, TNF-α, and C-reactive protein, whereby TNF-α in turn causes increased activation of NF-Kβ, which induces downstream signaling of cell proliferation, angiogenesis, survival, subversion of adaptive immunity, resulting in subsequently reduced response to hormone and chemotherapeutic agents [17, 18]. Thus, in addition to promoting carcinogenesis, metabolic inflammation may also influence tumor biology of established cancers , thereby resulting in poorer survival. It has been previously reported in a 900,000 prospective cohort that obese cancer patients had a higher mortality rate compared to patients with normal BMI, with a reported relative risk of 1.20 (95% CI 1.08–1.34) for BMI 35–39.9 and 1.52 (95% CI 1.13–2.05) for BMI above 40. Of significant note, there was a positive linear trend in death rates with increasing BMI for GI cancers in particular, namely esophageal, stomach, colorectal, liver, gallbladder, and pancreas cancers . The study by Reed and colleagues published in this issue further demonstrates that patients with metabolic syndrome are at increased risk, whereby non-diabetic patients compared to those with diabetes had better progression-free survival (p = 0.08), although just short of statistical significance. This observation would lend strength to the several mechanisms that have been described linking metabolic inflammation, in particular insulin resistance with increased carcinogenesis, whereby diabetic patients are proposed to have increased circulating levels of insulin and insulin-like growth factor exerting a growth-promoting mitogenic effect [17, 18], and in diabetic patients, the tumor cells are exposed to the Warburg effect, whereby tumor cells in a state of hyperglycemia have been shown to confer resistance to chemotherapy . Altered biological processes in cancer patients with metabolic syndrome would help explain the poorer progression-free survival intervals. However, it is also important to note that poorer survival in cancer patients with obesity has also been confounded by the later diagnosis and reduced uptake of screening tests in populations with obesity . This negative association between obesity with outcome of cancer, treatment effects, and prognosis has been acknowledged by the American Society of Clinical Oncology . It has been postulated that obesity-related GI diseases will increase by 20% in South East Asian countries [23, 24]. Thus, to better study the association between obesity and obesity-related GI diseases, several gastroenterologists and surgeons formed the Gut and Obesity in Asia (GOASIA) working group with the aim of focusing on key research questions in various aspects of obesity and GI diseases, and addressing these gaps through multi-national collaborative studies. The GOASIA consensus statements on obesity and GI diseases, published in 2016 , reflected the experts’ opinions and form the basis for further research in this area. It is noted that for many of the consensus statements, although some evidence exists, more high-quality studies from Asian countries are needed to further validate the associations between GI cancer and obesity in varying regional ethnicities, nutritional, and environmental influences unique to Asia, given the vast diversity of populations within this region. Given the increasing prevalence of obesity and metabolic syndrome in Asia, there is an imperative need to intensify research not just into the epidemiologic associations but also to evaluate the pathophysiology of metabolic syndrome in GI cancers, in particular the cross-talk between the adipose tissue, the microenvironment of the pre-neoplastic and tumor tissues, and the immunoregulatory organs, in particular the liver. A better understanding of these altered biological processes will better guide the development of targeted treatment modalities. Furthermore, there need to be more interventional studies, either through endoscopic therapy, bariatric surgery, or modulation of the gut microbiome, to improve the management of metabolic syndrome and its related diseases. JWJL, CJK, and KYH declare that they have no conflict of interest. The authors are solely responsible for the data and the content of the paper. In no way, the Honorary Editor-in-Chief, Editorial Board Members, or the printer/publishers are responsible for the results/findings and content of this article. Menon S, Matthew R. Association between metabolic syndrome and hepatobiliary cancers: a case-control study. Indian J Gastroenterol. 2019;38. https://doi.org/10.1007/s12664-018-0925-y. Reed M, Patrick C, Croft B, et al. The metabolic syndrome and its components as prognostic factors in metastatic colorectal cancer. Indian J Gastroenterol. 2019;38. https://doi.org/10.1007/s12664-018-0923-0. International Diabetes Federation. The IDF consensus worldwide definition of the metabolic syndrome. 2006; Available from: http://www.idf.org/webdata/docs/IDF_Meta_def_final.pdf. Accessed 01 Jan 2019.